What type of Play Equipment? Would you like an elevation? Would you like to choose some accessories? Would you like other services? SteelChief is one of Australia’s leading retail and wholesale providers of high quality outdoor living products. 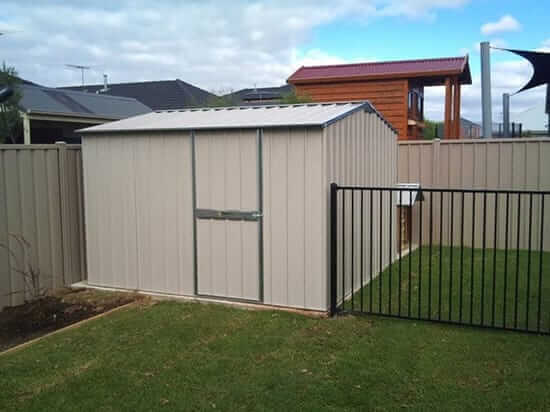 Based in Ballarat with offices in Melbourne, Adelaide and Sydney, SteelChief design and manufacture the widest range of backyard products including garden sheds, pet enclosures, workshops, cubby houses, play equipment, storage lockers and lots more. Whether you’re looking for a storage solution, a safe home for your pet or a brand new playground for your children, SteelChief’s extensive range of products will cater to every job, budget and purpose. An Australian family-owned business, SteelChief’s ambition is to provide you with the widest range of outdoor products that can be customised to meet your specific needs and requirements. Our products are the easiest DIY solutions on the market: it’s simply a matter of screwing the panels together and fixing it to the ground, giving you more time to spend on other projects. Alternatively, we offer installation, concreting and site preparation services. 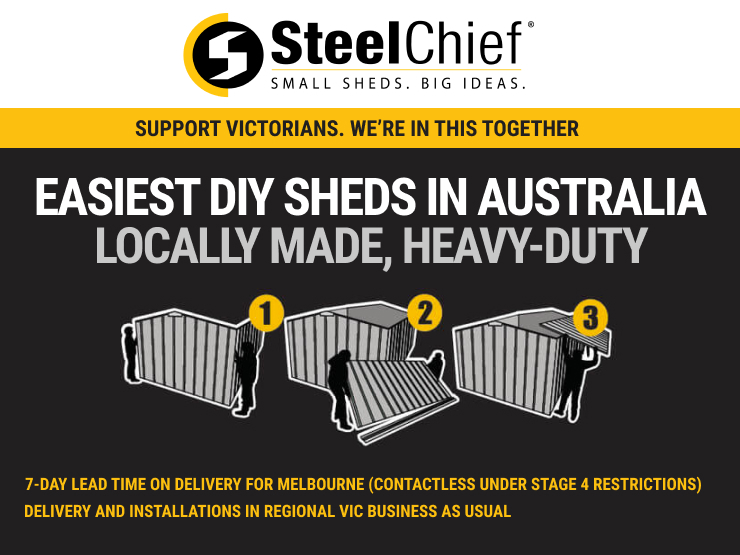 SteelChief delivers projects across south eastern Australia, including Melbourne, Sydney, Adelaide and Canberra, as well as all the regional towns in between. Visit one of our great distributors to discuss your next project.